Contents of First Aid kits must be checked regularly and re-stocked as soon as possible after use. Any items in the first aid box which have passed their expiry date should be disposed of safely. 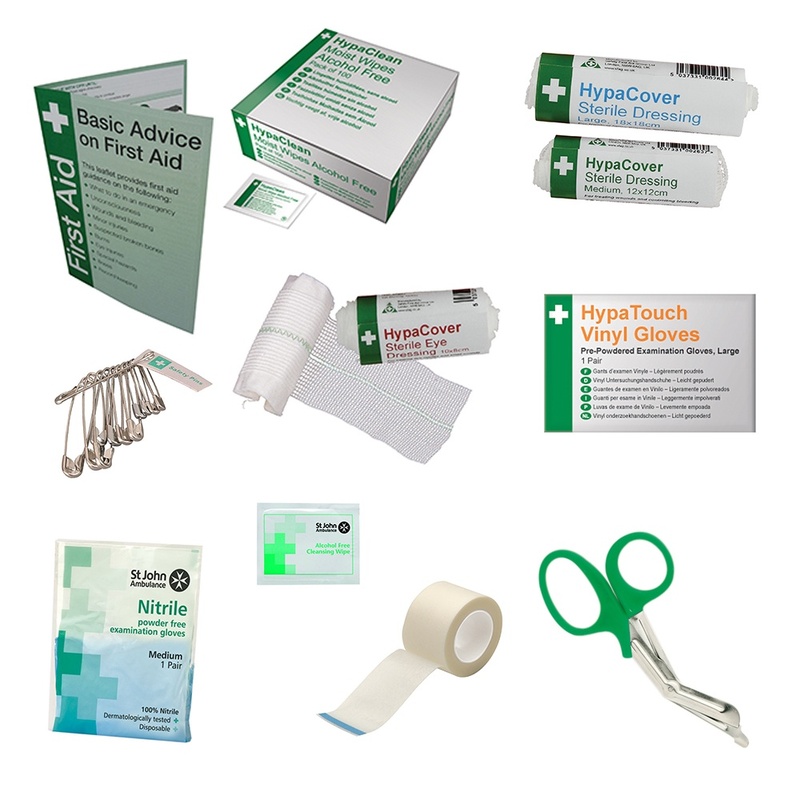 A full range of BS compliant quality first aid products for your workplace or school first aid kits. All products are in sealed or capped containers.